The Gallipolis City Park Community Yard Sale will be held Aug. 18 in rain or shine. 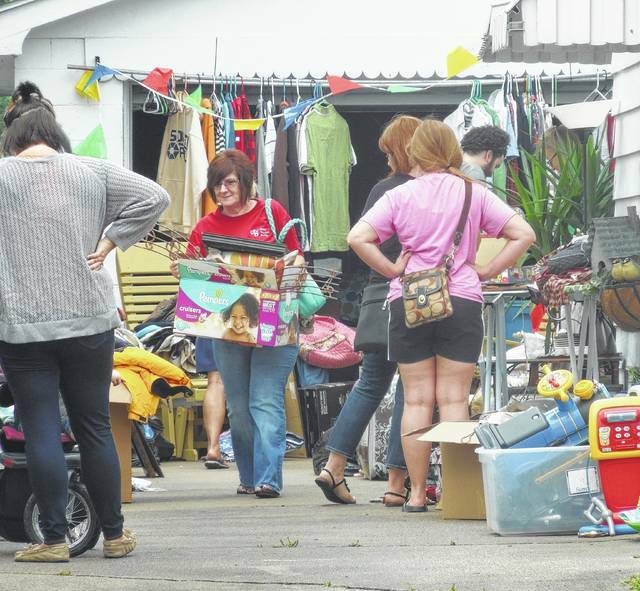 GALLIPOLIS — The City of Gallipolis will hold its second annual Community Yard Sale, Saturday, Aug. 18 in the Gallipolis City Park from 8:30 a.m. until 3 p.m. There will be no rain date, so the sales will take place rain or shine. Individuals will be allowed 16 foot by 30 foot sections around the perimeter of the Gallipolis City Park. A non-refundable permit fee of $10 for each section will be charged for this event. You must pre-register at the City Manager’s Office at the Gallipolis City Building, 333 Third Avenue and pick your location. Application will be taken starting on Aug. 1. Hours are 7:45 a.m. – 3:45 p.m.
Set up will be on day of sale only. All items are to be removed from the park after the sale. All trash to be put in proper containers. No vehicles allowed in the park during the sale permits are to be displayed during the sale. No weapons of any type may be sold. Vendors to supply their own tables and chairs. No blocking sidewalks or crosswalks. No monuments or trees used for display purposes. For more information call the Gallipolis City Building at 446-1789 ext. 522 or visit the city’s website at cityofgallipolis.com.